GLD Security are security systems Edinburgh experts based in Edinburgh. We install and maintain bespoke CCTV systems for residential and commercial customers and clients locally. Security cameras are an answer to the need for added security and reassurance. 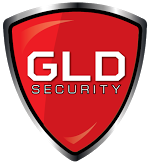 At GLD security, we pride ourselves on being able to offer the highest in quality security systems with the utmost efficient and friendly service. We also provide full maintenance and up keep support. There are many associated benefits with installing a CCTV system to keep your domestic property or business property safe and secure all day round. With burglaries and home intrusions on the rise, we always advise considering CCTV security systems seriously. Almost every commercial property already has a fully functional CCTV system in place and at GLD we are seeing many more domestic properties consider them closely.